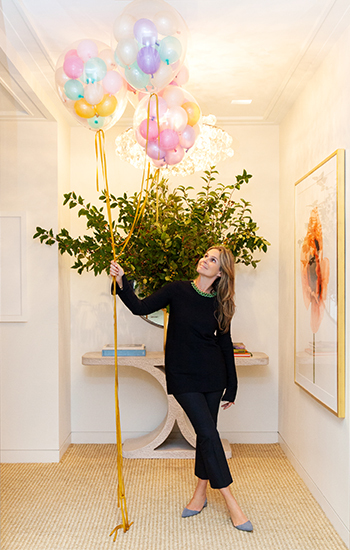 It was so much fun getting the office ready for the AERIN 5th anniversary party. I really wanted to celebrate with the team; their support and hard work has been indispensible. 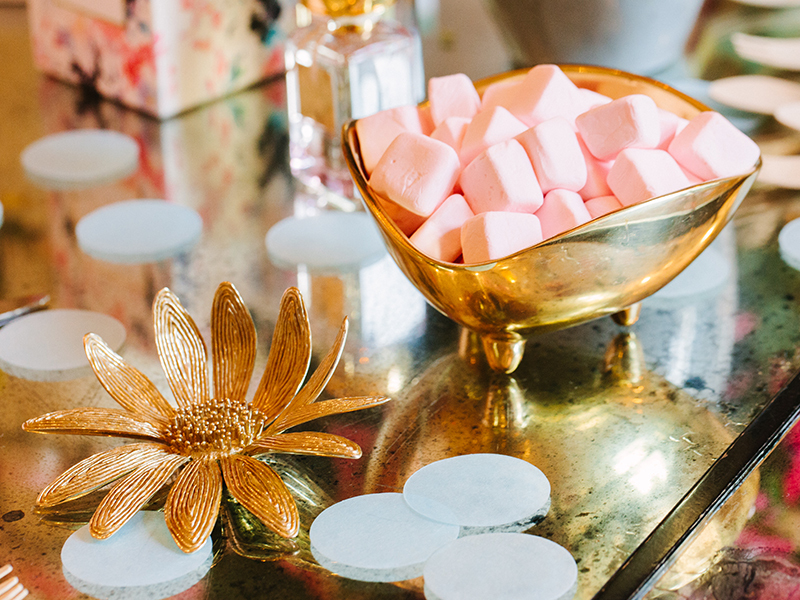 The tabletop reflected some of the motifs and inspiration behind the brand, with a pink and gold palette scattered with AERIN beauty products, and AERIN bowls filled with Sockerbit candy and homemade potato chips from William Poll. 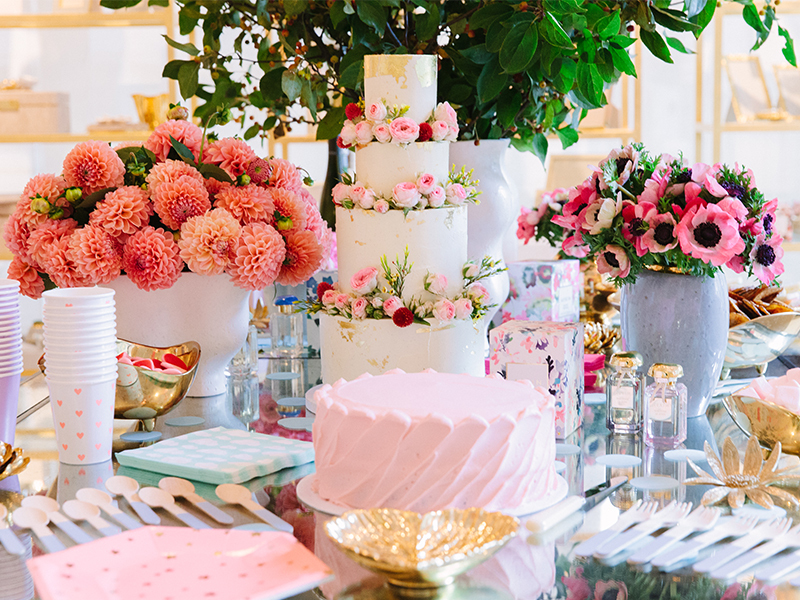 Two cakes—one with blush-hued icing, the other decorated with flowers—were surrounded by AERIN vases holding dahlias, peonies, and anemones in vibrant shades. 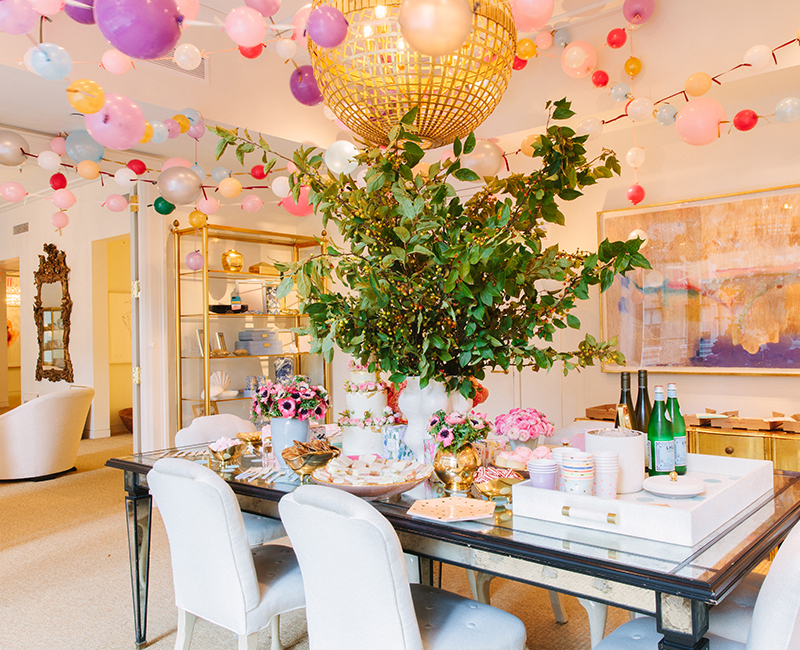 There had to be hearts, as a recurring symbol in the collection, so I included decorative accessories such as AERIN’s Floral Heart Dish, heart-patterned cups and plates from Oh Happy Day, and heart-shaped pizzas from PizzArte. 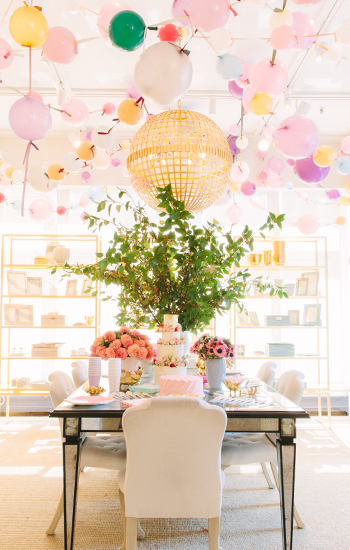 Above it all, the colorful balloons from Brooklyn Balloon Company definitely added to the party atmosphere.